Clare Rewcastle Brown is an investigative journalist who has begun a heated international dialogue by publishing accounts alleging corruption occurring in Malaysia. Brown founded the Sarawak Report and Radio Free Sarawak in 2010 to first highlight local deforestation occurring in the Sarawak region of Malaysia. That led her to uncover a system of kickbacks between the logging companies and local officials. In 2013, her investigations turned from deforestation to exposing potential bribery and theft involved in a Malaysian public development fund, 1Malaysia Development Bhd (1MDB). She obtained leaked materials from an employee of PetroSaudi, an investor in the 1MDB fund, which showed that USD 700 million that should have been invested in 1MDB ended up in the personal account of the Prime Minister of Malaysia, Najib Razak. 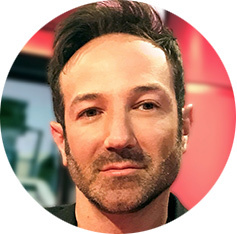 Bryan Fogel is an American film director, producer, author and playwright best known for directing the Oscar®-winning 2017 documentary thriller ICARUS: The True Story Behind the Russian Doping Scandal and Corruption. When Fogel set out to make ICARUS he had one goal: to examine how easy it is to get away with doping in professional sports. Instead, he was connected to a Russian doctor-turned-whistleblower, Grigory Rodchenkov. Together, they blew the lid off a state-sponsored doping scheme that has been ongoing in Russia for decades and which directly led to Russia being banned from the 2018 Winter Games in South Korea. Fogel helped Rodchenkov navigate the crisis by assisting with legal counsel, immigration advice, coordination with the U.S. FBI, CIA, and the DOJ and ultimately, his political asylum. In exposing a conspiracy that spanned more than four decades, Fogel revealed and intricately documented the biggest international sports scandal in living memory. ICARUS received rave reviews and won the first-ever Special Jury Orwell Award at the 2017 Sundance Film Festival and the Audience Choice Award at Sundance London, among many other accolades. It was acquired by Netflix in one of the largest nonfiction deals in history. ICARUS was named Best Documentary by the Academy Awards and was nominated for a BAFTA. Fogel has also been nominated for Best Director of a Documentary by the Directors Guild of America. 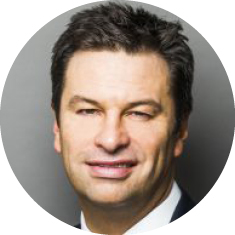 Martin Ford, futurist and author of New York Times bestseller Rise of the Robots, will speak on the impact of artificial intelligence on fraud. Ford is a researcher whose unique insights into the increased mechanization of work across various fields, and the rise of increasingly capable “information technology,” has shed new light on the nature of work and education and the value of “human” capabilities. 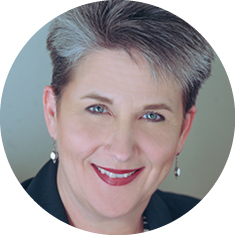 Katherine McLane founded the Mach 1 Group in Austin to provide strategic communications, media and public affairs counsel supporting global brands and organizations. 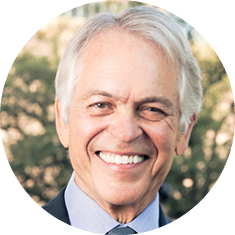 Prior to founding the Mach 1 Group, McLane was Vice President for Communications & External Affairs for the LIVESTRONG Foundation. She served as the organization’s chief communications and crisis management architect during years of global media attention surrounding its founder, successfully steering a course that kept the Foundation’s mission front and center. McLane also served as press secretary for the U.S. Department of Education. As the former Executive Director of Europol, Rob Wainwright led the transformation of the agency into a world-class security institution. Europol is the primary intelligence-sharing and operational coordination center in Europe, connecting more than 1,000 law enforcement agencies and supporting almost 50,000 cross-border investigations each year against transnational threats from crime and terrorism. 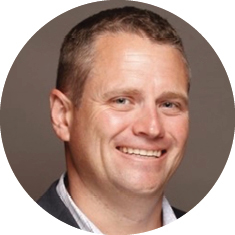 Brian Allen is the former Chief Security Officer for Time Warner Cable located in New York, New York, and has more than 20 years of experience in the security field. In his role as CSO, he was responsible for the global protection of Time Warner Cable’s assets, coordinated the company’s crisis management and business continuity management program, including the coordination with federal and state emergency management organizations. Allen also managed cybersecurity policy and governance for the company. He led the security risk management program, which included the company’s Law Enforcement Response Center, the customer facing Enterprise Risk Operation Center, had oversight of all internal and external investigations, and headed up the company’s workplace violence program. 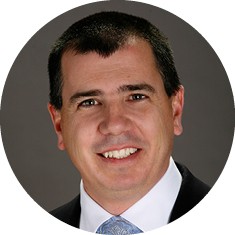 Pedro Armada is the founder and president of Armada Risk Consulting (ARC), a boutique consulting firm providing risk advisory, forensic and investigative services with a focus on Latin America and the Caribbean. 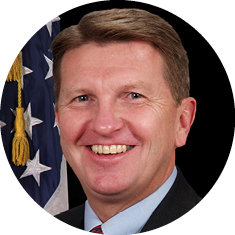 Prior to founding ARC in 2016, he worked as an investigator conducting national security and suitability background investigations on behalf of the U.S. government. He later spent half a decade managing investigations including FCPA and white-collar defense, internal investigations, asset tracing, cross-border litigation and arbitration support, and due diligence matters across Latin America for an international investigative firm. His clients included Fortune 500 companies, hedge funds, financial institutions and high net worth individuals. He is a Certified Fraud Examiner and holds a bachelor’s in political science and philosophy from Florida International University. He has a postgraduate diploma in criminal procedure from the Institute of Legal Studies and Research and the Iberoamerican Center for Legal and Social Research. He is completing a master’s in forensic accounting at the University of Portsmouth (U.K.). He is a native Spanish speaker, and is fluent in English and Portuguese. As a director of Delivery Center, Anshul Arora applies subject matter expertise to help clients adopt and leverage new technologies for optimal efficiency. For the past decade, he served as Program Manager, Architect and Specialist on more than 100 projects for major financial institutions and trading banks globally in compliance, trade surveillance, AML and fraud models; providing analysis, services and solutions on multiple platforms. He holds a degree in computer science and engineering. Jake Bernstein is the author of Secrecy World: Inside the Panama Papers Investigation of Illicit Money Networks and the Global Elite. He was a senior reporter on the team that broke the Panama Papers story — the International Consortium of Investigative Journalists. In 2017, the project won the Pulitzer Prize for Explanatory Reporting. In 2011, Bernstein earned his first Pulitzer Prize for National Reporting for coverage of Wall Street activities that contributed to the financial crisis. 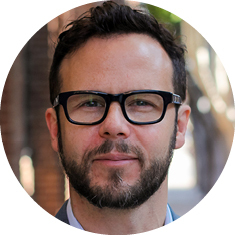 He has written for The New York Times, Washington Post, Bloomberg, The Guardian, ProPublica and Vice, and has appeared on the BBC, NBC, CNN, PBS and NPR. 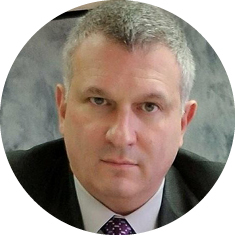 Director of Strategy, DataVisor Inc.
Igor Bidny is the Director of Strategy at DataVisor Inc. Most recently he oversaw Strategy for Financial Services at Ayasdi, a leading enterprise AI company. 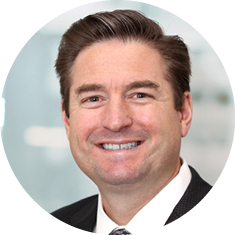 He has spent a number of years in the analytics, financial services and fintech space covering capital markets, risk and compliance, and asset management. He is a CFA charterholder and has earned a Masters in Finance from the London School of Economics and an MBA from Columbia University. 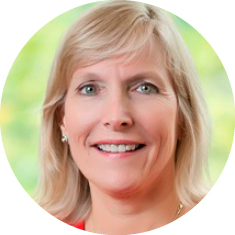 Jacqueline Nash Bloink has worked in the health care industry since the mid-1990s in such roles as practice administrator, coding manager, auditor, instructor/instructional designer and director of compliance. Her passion is health care compliance and fighting health care fraud. Bloink is a published author and national speaker on the topic of health care compliance and health care fraud. Bloink is currently an adjunct Professor for the University of Arizona and a consultant who specializes in assisting businesses, organizations and legal teams with various projects that involve provider education, health care coding, compliance or fraud. Geoffrey R. Branch is a Senior Investigator with the Special Investigations Unit of Swiss Re Corporate Solutions where he is responsible for external fraud investigations as well as serves as the Anti-Fraud Awareness Training Coordinator. Prior to joining Swiss Re, he spent twenty years as a law enforcement officer, sixteen of which with the Florida Department of Financial Services, Division of Insurance Fraud, where he served in many capacities conducting, supervising, and managing criminal investigations for the Division. While with the Division, Branch specialized in complex white-collar crime investigations involving premium avoidance, money laundering, racketeering, and other organized financial crime schemes. 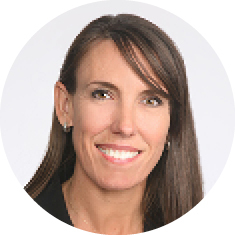 Mary Breslin has more than 20 years of experience in internal auditing, fraud examination, management and accounting for companies such as ConocoPhillips, Barclays Capital, Costco Wholesale, Jefferson Wells and Boart Longyear. She specializes in internal audit transformations, operational and financial auditing, fraud auditing and investigations, and corporate accounting. 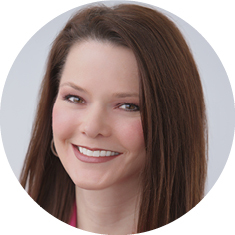 In addition to audit, fraud and accounting, she has significant international experience and has managed audit programs in more than 30 countries. Prior to becoming a full time instructor, Breslin held the title of Vice President and Chief Audit Executive in a global financial services company, where she transformed a checklist audit function into a value-add audit department which delivered measurable business results through the use of risk based auditing, data analytics, continuous education and skill development for her leadership team and staff. Through her senior audit leadership roles, Breslin has implemented numerous baseline internal audit functions and year-one Sarbanes-Oxley programs, both domestically and abroad. 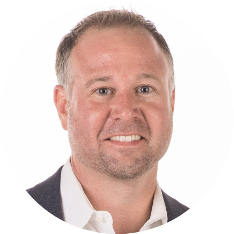 Scott Butler (CFE, CAMS-FCI) managed Facebook's first Payments Compliance program, assisting the company in obtaining their money transmitter licenses and crafting their initial set of policies and procedures. As Head of Fraud, Compliance and Payment Operations at Linden Lab, Butler is in charge of the Money Services Business that governs transactions within Second Life, the world's largest virtual goods economy. He began his career on Wall Street, working for Credit Suisse (New York, Hong Kong) and later at Deutsche Bank. He serves as a consultant for the financial crime-related television project, The Bank. Nine years ago, in one of the worst economic climates since the Great Depression, Brian Carpenter walked away from a secure six-figure job in order to build his own one-person consultancy. Despite this less than optimal start, he has earned over $100,000 in net income every year. He attributes his success to consistent, intentional execution of six key strategies which he will explain in his session. 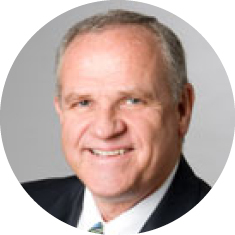 Within his chosen consulting niche (charter school governance, operations and risk management), Dr. Carpenter is a sought after conference speaker and trainer. His books, podcasts and training videos are used by schools, authorizers, associations and university professors across the U.S.
Mauriceo Castanheiro has more than 15 years of experience fighting fraud. He previously worked at Royal Bank of Canada (RBC). Castanheiro held key positions within fraud management including operations, analytics and national office strategy. He was responsible for various portfolios at RBC including debit card and account fraud, loan fraud and insurance fraud. In his role at Verafin, Castanheiro is responsible for the overall analytics strategy and assisting in bringing new solutions to market. Castelli is a partner at PwC and co-leads PwC's fraud prevention practice as part of the Financial Crimes Unit, which delivers strategic and operational expertise to C-suites and boards grappling with increasingly complex financial threats. He also leads PwC's Forensic Banking & Capital Markets practice area. For the last 18 years he’s helped leading banks, broker dealers and asset managers prevent, detect and investigate financial crime. This includes fraud, money laundering, bribery and corruption, securities trading violations and abuses, employee conduct and other threats. He speaks regularly on the role of technology and analytics in building a sustainable anti-fraud and anti-financial crimes program. Castelli has also been awarded a U.S. patent for fraud detection. 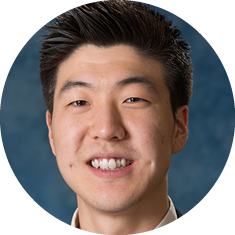 Billy Cheung is a manager with Fannie Mae’s Internal Audit - Data and Analytics team. 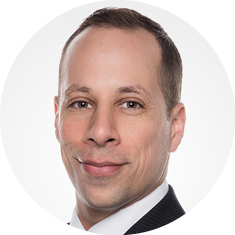 With more than a decade of experience in the cultivation of audit intelligence through data visualization and audit analytics across a number of industries, his breadth of experience ranges from Canadian provincial regulatory agencies to U.S. healthcare providers to mortgage-backed securities. In his former life as a consultant with ACL Services, he has also conducted training seminars and workshops for professional associations, Fortune 100 companies and non-profit organizations. 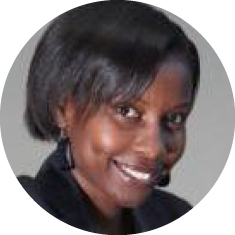 Andreattah Chuma is a compliance and ethics subject matter expert for data protection and IT/IP at Euroclear, based in Brussels. Prior to joining Euroclear as an internal auditor, she was part of the Enterprise Risk Services team at Deloitte Botswana, where she worked as an IT auditor. 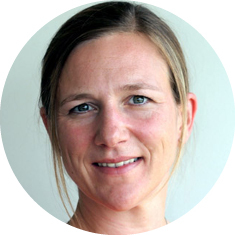 She has served on the Fraud Forum, a multi-stakeholder forum tasked with addressing fraud risk in the Euroclear group. Her interest in the ethics of technology has led her to currently pursue her Masters in Laws in Information Technology and Telecommunications Law. 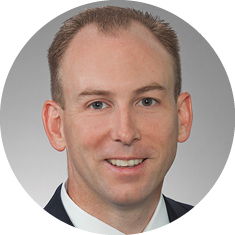 Patrick Chylinski is a principal and the West Region leader of RSM US LLP’s Financial Investigations and Disputes practice. RSM is the fifth-largest accounting and consulting firm in the U.S., and is the leading provider of audit, tax and consulting services focused on the middle market. He has extensive experience conducting fraud and forensic investigations, and in the areas of economic damage analysis and business valuations. He has made numerous presentations on the topic of fraud and fraud prevention. 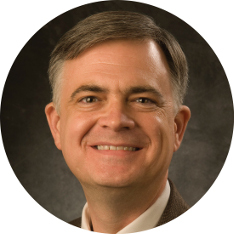 Clopton is a frequent speaker on the topics of data analytics and visualization, the value data can bring to an organization and leading a multigenerational workforce. He has spoken at global and national conferences, as well as regional and local conferences and webinars. 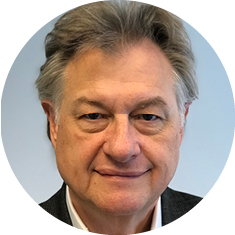 He also contributes to the Association of Certified Fraud Examiners’ Fraud Magazine and a variety of publications and blogs on the topic of data analytics. 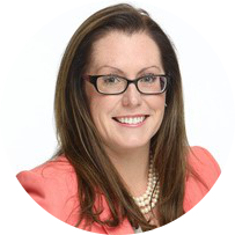 Jen Dunham focuses on providing subject matter expertise and assistance to government teams globally in addressing various security risks, focusing on insider threat targeting, analytics lead generation, cybercrime, all-source (fusion) analysis and similar applications of SAS Security Intelligence. As a Certified Fraud Examiner, she also assists government teams with traditional fraud challenges, such as procurement and occupational fraud. 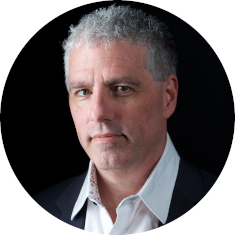 Paul Dunlop is a high-performing executive, with thirty years of experience across the financial-crimes domain. He began his financial-services career by designing enhanced due diligence, employment background screening, intelligence and analytics, and operations and technology programs in corporate security. He has held progressively more senior roles across corporate security and investigations and risk management in both strategy and operations positions. As Analytics Manager within United Airlines’ Corporate Security & Global Investigations Department, John Enders provides guidance to investigators and security personnel as they seek to more effectively use the company’s data resources to monitor fraud and security risks. Some of these risks include ticketing fraud, travel agency fraud, smuggling, trafficking, cash skimming, physical theft and aviation security threats. In addition to crafting queries and analytics-based testing algorithms and designing the resulting dashboards for the security team, he leads independent investigations and participates in fact-finding and admission-seeking interviews. Wendy Evans is a Senior Corporate Ethics Investigator for Lockheed Martin. She joined the company in 2006 after a career in law enforcement, including service as an FBI agent and police officer. She is a Certified Fraud Examiner and a Certified Compliance and Ethics Professional. Evans has been a national speaker on ethics and investigations. She holds a bachelor’s degree in government studies and communications from Western Kentucky University. Terri Fuller has been the chief auditor for Moda Health in Portland, Oregon, since 2014. Prior to her position with Moda, her career focused primarily on insurance and financial services. 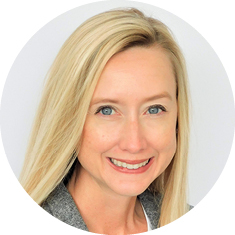 As an audit and enterprise risk management professional with more than 20 years of experience, she is passionate about fraud prevention and detection, and providing education on fraud risk management. 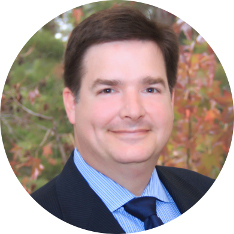 Fuller is a Certified Fraud Examiner and holds certifications in internal audit and risk management. Tom Golden is a retired PricewaterhouseCoopers (PwC) Partner and former Partner-In-Charge of the Chicago Investigation & Forensic Services practice. He has a national reputation in forensic accounting and fraud investigations, and has been quoted in the Journal of Accountancy, USA Today, The Financial Times, Business Week and The Chicago Tribune. Golden was the lead author of the award-winning Wiley book A Guide to Forensic Accounting Investigation. He is a CFE and CPA, a former chairman of the ACFE Board of Regents and is a Regent Emeritus. He was also an adjunct professor at DePaul University in Chicago after he developed and taught the school’s first forensic accounting graduate course in 2002. Golden recently turned his attention to the literary world with the publication of his first novel, Sunday Night Fears. He will be gifting several copies of this book and his professional Wiley book during his session. 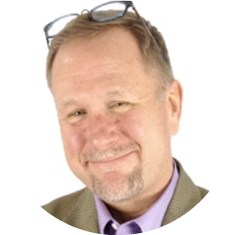 Michael Greelis, Ph.D., is a psychotherapist in Fairfax County, Virginia. He has been in private practice for 25 years, using techniques of interpersonal, cognitive and existential psychotherapy. 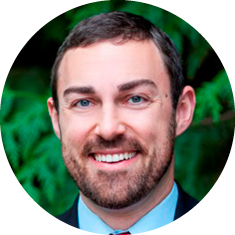 He is a graduate of the University of California, Santa Barbara, and earned his doctorate from George Mason University, specializing in community and agency counseling. He has worked clinically with serious mental illness, psychological trauma, behavioral problems involving oppositional behavior and conduct issues, family conflict, bipolar disorder, depression and anxiety disorders. 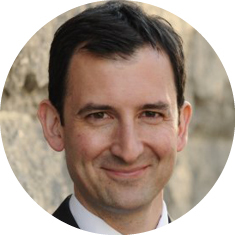 Graeme Halkerston is a senior barrister at Wilberforce Chambers in London. He is a specialist in offshore and fraud law. Much of his work involves issues related to freezing assets held by or for defendants in offshore jurisdictions and the U.K., including freezing orders in support of or connected to U.S.-based litigation. He is a former partner in a leading offshore law firm and was based for many years in the Cayman Islands. 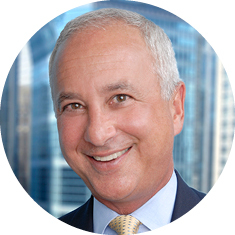 He has given expert evidence on issues of Cayman Islands law in California, Florida, Massachusetts and New York, including acting as an expert in the Davis v. Scottish Re case which, following the New York Court of Appeals recent judgment, is the leading case on the law applicable to derivative actions brought in the U.S. by shareholders in Cayman companies. He was the lead advocate in the Batista litigation, which was the first case in which the Cayman Grand Court granted a free-standing worldwide freezing order against a nonresident in aid of U.S. litigation. 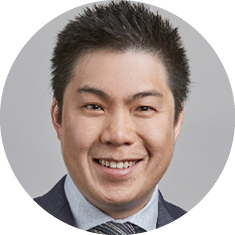 Managing Director, Fraud and Risk Analytics Practice Lead, Elder Research Inc.
Robert Han is managing director at Elder Research. He oversees Elder Research's Washington, D.C. office and its Fraud and Risk Analytics practice. 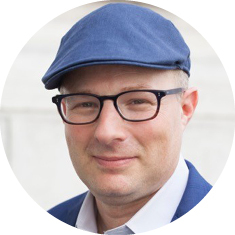 At Elder Research, he has led advanced data science teams that have tackled some of the most challenging fraud and risk analytics problems in both the federal government and private sector. Some examples include applying machine learning techniques to identify and prioritize highly suspicious actors (financial market players, medical providers, unemployment insurance recipients and workers compensation beneficiaries) for investigators and analysts; building text mining models that ingest large amounts of documents to build risk profiles from unstructured text; and leveraging network analysis and graph modeling techniques to detect highly suspicious social network behaviors and potential collusion between highly connected actors amidst the opioid crisis. 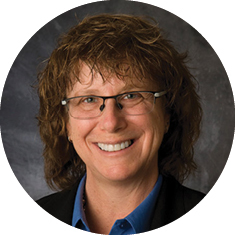 Wendy Hans is the Director, Fraud/Loss Control for American Multi-Cinema, Inc. (AMC Theatres), focused on fraud identification, investigation and prevention. She oversees a team of Certified Fraud Examiners who monitor activity for 30,000 associates and the e-commerce platform. Hans also advises on fraud risks for company initiatives and creates anti-fraud resources. 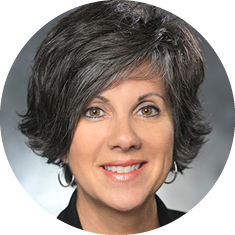 She has served as the Training Committee Director for the ACFE’s Greater Kansas City chapter since 2016. 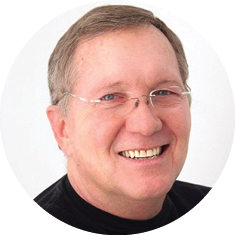 Jack Healey is an expert in operational, financial and organizational crisis management, strategies and tactics. 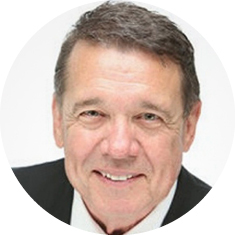 His unique background as a trained operation and financial expert, fraud examiner, audit partner, negotiator and former COO/ CFO of a publically traded company brings a unique perspective which addresses the operational, governance and human behavior which lead to crisis events. He developed the Business Crisis Diagnostic and Prevention Model™ which provides businesses with the framework necessary to identify impending business crises before they occur. This model can help identify the hidden risks inherent in an organization in order to develop containment plans prior to the loss of profits, reputation or associate well-being. This model has been used effectively by his clients to resolve complicated business crises and manage the consequences associated with fraud, product recall, data breach, workplace violence and activist shareholders. 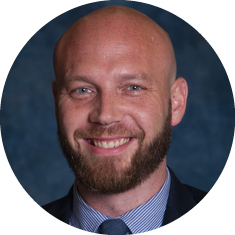 Ryan C. Hubbs is the global anticorruption and fraud manager for Schlumberger in Houston, Texas. Hubbs has more than 16 years of experience managing corporate investigations, forensic audits and compliance initiatives. He has conducted hundreds of sensitive internal engagements concerning fraud, corruption, contracts, vendors and suppliers, and employee-related issues. Hubbs also has extensive experience with organization-wide anti-fraud and compliance programs and measures, corporate investigation programs and protocols, and fraud data analytics. He has extensive experience investigating and researching anonymous shell company networks as well as developing analytics and process improvements to combat this emerging fraud risk area. Hubbs also previously served 13 years as a commissioned law enforcement officer in both Louisiana and Texas. Hubbs is a member of the ACFE Faculty where he co-presents the CFE Exam Review Course, as well as specialized training such as Interviewing Techniques for Auditors, Auditing for Internal Fraud, Contract and Procurement Fraud, Detecting Fraud Through Vendor Audits, Principles of Fraud Examination and Conducting Internal Investigations. Hubbs co-wrote the guidance to the ACFE Standards and developed the ACFE Chapter Leaders Resource Guide. 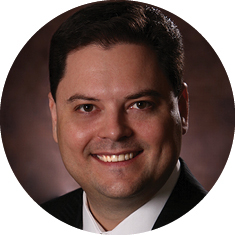 He has served ten years as an ACFE Chapter President and officer for both the New Orleans and Houston ACFE Chapters. In his role as President of the Houston ACFE Chapter he helped guide the chapter to be recognized as the ACFE’s 2014 Chapter of the Year and the recipient of the ACFE’s 2015 Chapter Newsletter of the Year. Hubbs’ continued involvement and contributions in the anti-fraud profession resulted in him being awarded the Greater Houston Fraud Impact Award in 2014. 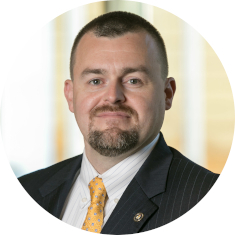 Lukayn Hunsicker serves as a subject-matter expert in the areas of financial crime and fraud, delivering and maintaining fraud prevention solutions for BAE System’s diverse customer base. 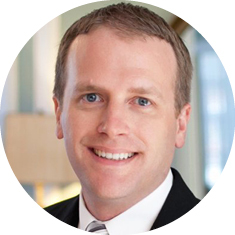 He has over 12 years of experience in the financial services and software industries. 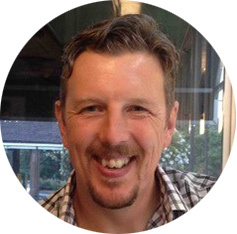 Prior to joining BAE Systems in 2016 he was Vice President, Fraud Product Management for a top-three global processor where he oversaw multiple product lines related to fraud and risk management. In addition, he has held product consulting roles pertaining to cybersecurity, risk and insurance. Jason Jordaan is considered a leading authority in the field of digital forensics and cybercrime investigation and prevention, in a forensics career that began in 1991. As the principal forensic scientist of DFIRLABS, he is responsible for the leadership of the practice, digital forensics quality assurance, complex digital forensics engagements, research and development, and digital forensic practitioner training and proficiency. He regularly testifies as an expert witness. 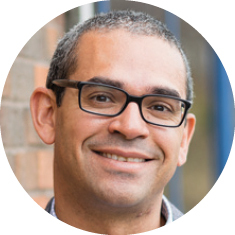 Jordaan founded DFIRLABS in 2014, after leaving the Special Investigating Unit, where he was the national head of the Cyber Forensic Laboratory. In this role, he was responsible for the development and implementation of the digital forensics capacity of the Special Investigating Unit, and in conducting digital forensics engagements on several high-profile cybercrime, fraud and corruption cases within the South African public sector. He is a published author, researcher and academic in digital forensics. At an early age, Matthew Joseff had a passion for computers and game theory; he started out setting up computers at trade shows and managed an ISP while at university. As the dependent of two government intelligence officers, he was raised in several countries, including Japan and Italy, and later applied his real-world knowledge to his passion. 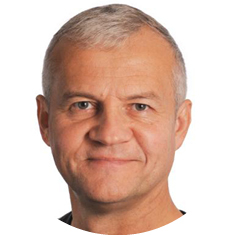 With over three decades of substantial experience Joseff was a critical part of maturing several startups and integrating cutting-edge technology with real world productivity. Special Agent Milan R. Kosanovich has worked for the FBI for over nine years specializing in white-collar criminal investigations. Kosanovich has lectured and presented on behalf of the FBI in Estonia, the Netherlands, Canada, Israel, the Seychelles, Singapore and Malaysia. He is currently assigned to the White Collar Crime squad in Cleveland and serves in multiple collateral duties as a member of the nationwide Corporate Fraud Response Team and as a certified FBI Hostage Negotiator. Krawczyk heads the Compliance, Fraud and Forensics Practice of Mackinac Partners. 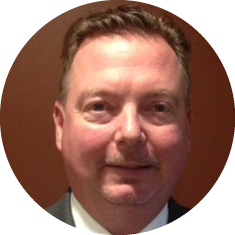 He has more than 25 years of experience in fraud and forensics, accounting controls and processes, and financial reporting. 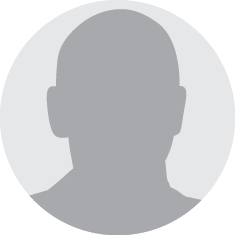 He is a CPA and a CFE who has led numerous investigation engagements including fraudulent financial reporting and the misappropriation of assets. 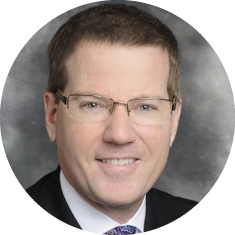 He also specializes in fraud remediation, the effects of fraud on GAAP accounting and SEC reporting, and the redesign and implementation of a company’s fraud prevention programs. Leonard Kwan is a director in PwC's Financial Crimes Unit. He is primarily responsible for managing the delivery of anti-financial crimes technology, principally in the surveillance and authentication space. 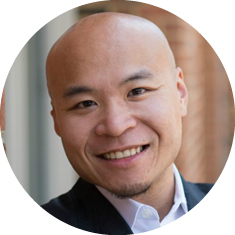 Kwan helps his clients identify fraud risks and design controls to mitigate risks and enhance customer experience. He has worked closely with a number of key emerging and mature financial crimes technology vendors to design and deliver holistic and cohesive anti-fraud architectures. 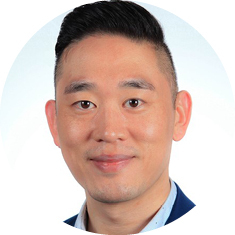 Prior to joining the Financial Crimes Unit, Kwan spent more than 10 years in advanced analytics enabled customer strategy, marketing and compliance. 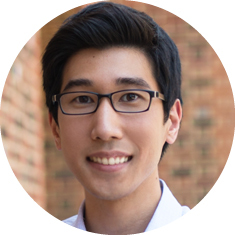 Derrick Lee has more than five years of experience working in data analytics capacities within the financial services industry. His expertise includes data visualization, ad hoc data analysis, continuous auditing, and controls monitoring methodologies and practices. He is currently Senior Data Analytics Auditor within Fannie Mae’s Internal Audit department. In this position, he is responsible for delivering data analytics and providing assurance over client reporting in support of the department’s business and technology audit teams. 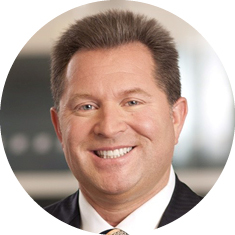 Donn LeVie Jr, CFE, is a leadership positioning and influence strategist, professional speaker, and the author of two award-winning books on strategies for engaging and influencing decision makers, and positioning professional expertise and branded value. His career has spanned nearly three decades in management and leadership positions for Fortune 100 companies, government service, and academia. 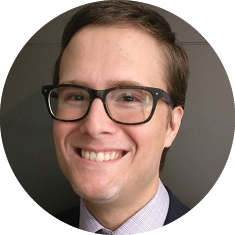 Levie has been a presenter and strategist at the ACFE Global Fraud Conference since 2010 and is a contributing staff writer for Fraud Magazine. Roxane MacGillivray is a Senior Corporate Ethics Investigator for Lockheed Martin. 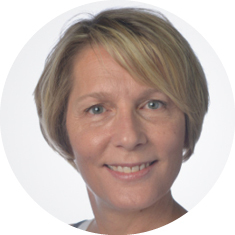 Roxane has been with Lockheed Martin for over 16 years in various functions including Legal, EEO and for the past 8 years in ethics. In her current role, she conducts enterprise-wide ethics investigations. 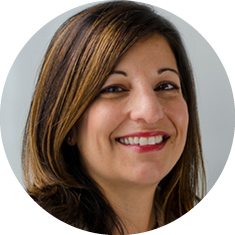 She is very involved in the creation and execution of internal investigations training and has been a national speaker on numerous ethics and compliance related topics. 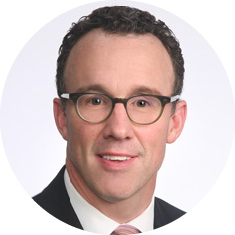 Jonathan Marks is a partner in Marcum’s Philadelphia office and is a member of the firm’s Advisory Services division. 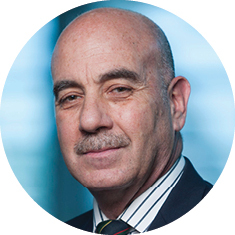 He has almost 30 years of experience working closely with his clients, their board, senior management, and law firms on fraud and misconduct investigations, including global bribery, corruption, and compliance matters. He assists his clients in mitigating future potential issues by conducting root-cause analysis, developing remedial procedures, and designing or enhancing governance, global risk management, and compliance systems along with internal controls and policies and procedures. Marlin brings to FTI Consulting more than 20 years of communications experience handling crisis and issues management; financial transactions; government and regulatory affairs; high-stakes litigation; and mergers and acquisitions (M&A). He also has significant experience working across the commercial, financial and public sectors. 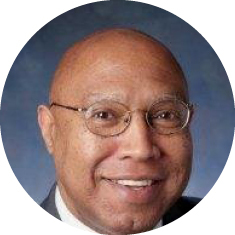 Prior to FTI Consulting, Marlin served for nearly five years as director of communications at the U.S. Securities and Exchange Commission (SEC), under chairs, Mary Jo White, Elisse B. Walter and Mary L. Schapiro. While there, he coordinated communications strategy on a range of significant issues, including the agency’s landmark policy of seeking admissions in certain enforcement cases, and major rulemaking stemming from the Dodd-Frank Act and the JOBS Act. He also served as a key communications adviser to the SEC chair, and counseled senior officials through congressional testimony, media interviews and other speaking engagements. 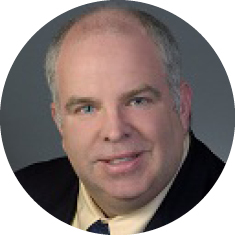 Jeff Matthews, CPA, CFE, has more than 20 of experience in financial investigation, forensic accounting, and litigation support spending many years practicing in Big Four firms. He has substantial experience as a Certified Fraud Examiner (CFE), leading many financial, federal, and state investigations. 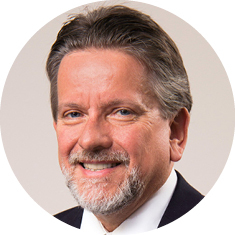 As a member of the Association of Certified Fraud Examiners (ACFE), he serves on faculty while providing continuing education programs to organizations and entities throughout the country. Matthews has been instrumental in developing proprietary anti-fraud and compliance tools for the forensic and litigation community. 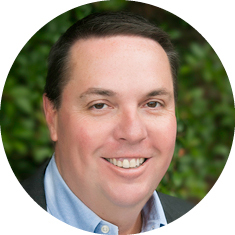 Matthews began his career as an investigative auditor for the State of Louisiana. After nearly five years and dozens of investigations, he was recruited to Dallas to work for a Big Four accounting firm. He eventually advanced to partner. 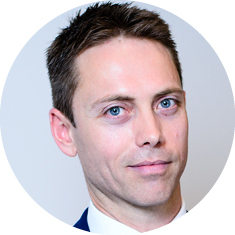 He currently is the National Partner in Charge of Weaver’s Forensic and Litigation Practice. Owner, McFarland & Associates Inc.
Harold McFarland is an expert witness in computer, internet and electronic communications forensics and a member of multiple federal task forces related to cybercrime. He has been admitted as an expert witness in state- and federal-level courts and has worked on numerous cases from local to international in nature. The types of cases range from simple embezzlement and identity theft to complex pyramid schemes involving multiple shell companies, international human trafficking, drug cartels, espionage, terrorism, and other crimes made possible through the compromise of a computer system. 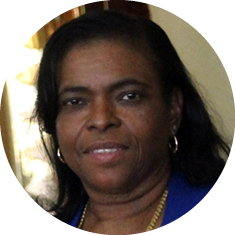 Janet M. McHard is the Founding Partner of McHard Accounting Consulting, LLC, a firm specializing in forensic accounting, fraud prevention and accounting reconstruction. Together with her partners and staff, McHard conducts forensic and investigative accounting in matters concerning alleged white-collar crimes, embezzlements, employee theft and other disputed accounting issues. 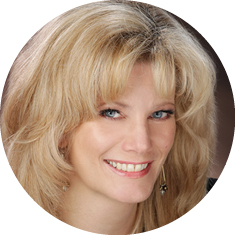 She provides expert witness testimony and consulting expert services in cases where fraud is suspected. Sherman McGrew is a native of Brooklyn, New York. He entered military service in 1979, retiring as a U.S. Army Lieutenant Colonel in 2010. He is a graduate of the U.S. Army Command and General Staff College and has had three active duty deployments, to include two combat tours in Iraq in 2003 and 2008. In 2008 he worked extensively with the U.K. Military and the U.K. Civilian Police Contingent in Basra, Iraq. He entered law enforcement in 1987 and retired as a Captain with the Waterbury, Connecticut Police Department in 2009, having also served as a Patrolman, Detective, Sergeant, and Lieutenant. He has conducted literally thousands of interviews with suspects and has lectured on interview and interrogation to both police, military and international audiences. As a detective, he extensively investigated financial crimes, securing convictions while at all times respecting the rights of the accused. He holds a Bachelor Degree from the University of Connecticut, a Masters in Forensic Science from the University of New Haven and a Law Degree from The University of Connecticut School of Law. He is admitted to both the Connecticut Bar and the U.S. Federal Bar as an attorney. He also was a commander of the Waterbury Police SWAT team and founded and commanded the Waterbury Police Academy for four years. Hendrik Milne is a top international advocate with more than 40 years of experience in courts around the world. He is an English barrister and a Florida attorney who is admitted to multiple courts across the U.S. His focus is on international litigation with a heavy emphasis on fraud, asset freezes and recoveries. He routinely works with lawyers from around the world, often supervising multi-country cases. He currently heads an international legal team pursuing damages flowing from the multi-billion-dollar collapse of the Brazilian oil company OGX. Steven Morrison, CPA, serves as an engagement partner on audits of SEC issuers and non-public entities in various industries, including those with international operations. 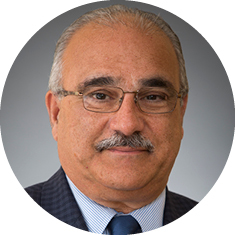 His experience includes effectively addressing unique accounting and audit issues of entities in the U.S. as well as in Asia, Europe, Oceania, and South and Central America. He also is a member of MBAF’s China Services Group. Morrison is active in the planning and execution of audit engagements and has experience in due diligence engagements as well as litigation support. Don Mullinax previously served as Chair of the ACFE’s Board of Regents and has over three decades of experience leading and conducting contract, forensic, and performance audits, fraud and misconduct investigations, and anti-fraud consulting engagements across a variety of industries including aviation, construction, consumer goods, defense, education, government, health care and retail. He has held a number of executive positions in both the private and public sectors, including Shareholder, Forensic Strategic Solutions, LLC; Principal, Deloitte & Touche; Inspector General, Los Angeles Unified School District; and Chief Investigator, U.S. Senate’s Permanent Subcommittee on Investigations. Stephen Pedneault’s technical expertise and intuitive investigative awareness have garnered him the respect of the legal, accounting and law enforcement communities. Through his investigative work, Pedneault has examined frauds ranging from a few thousand dollars to millions. His expertise also lies in preventing and investigating embezzlements and financial statement frauds, evaluating financial disclosures in matrimonial and probate concerns, as well as other types of forensic accounting matters. 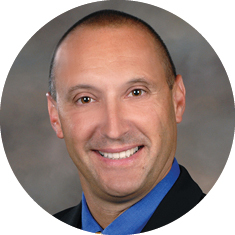 He has written four books: Fraud 101, Anatomy of a Fraud Investigation, Forensic Accounting and Fraud Investigations for Non-Experts and Preventing and Detecting Employee Theft and Embezzlement, A Practical Guide and is often referenced and quoted in articles appearing locally, regionally and nationally. Michael Pocalyko is CEO of SI, a Washington D.C.-based professional services firm and government contractor in the information technology, cybersecurity, investigations and intelligence sectors, concentrating in fraud, corruption, corporate board-level inquiries, international financial investigations and white-collar crime. A decorated Navy pilot and retired commander, he previously chaired the boards of Erdevel Europa in Luxembourg and Saudi Arabia, TherimuneX Pharmaceuticals and Advanced Environmental Resources, Inc. An experienced corporate director of both NASDAQ publicly-listed and private corporations, he was audit committee chairman at Herley Industries and Challenger Corporation, and is a Sarbanes-Oxley audit committee financial expert. 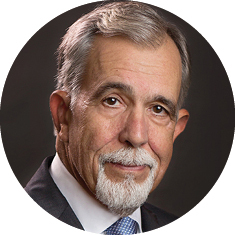 As an instructor, author, and former investigative director, Don Rabon's instructional areas include interviewing, rapport building, interrogation, persuasion, detecting deception, investigative reasoning and investigation discourse analysis. He is retired from the North Carolina Justice Academy, North Carolina Department of Justice, where he served as Deputy Director. Over a period of 33 years, Rabon has provided instruction and investigative assistance to investigators in 45 states, Puerto Rico, the Virgin Islands, Belgium, France, Germany, Australia, New Zealand, Canada, Singapore, Ireland, Trinidad, Barbados and England. He has also trained federal, state and local criminal justice personnel; NATO counterintelligence personnel; and private sector investigative, audit and corporate security personnel. John Roberts is an executive director with EY’s Fraud Investigation & Dispute Services (FIDS) practice. 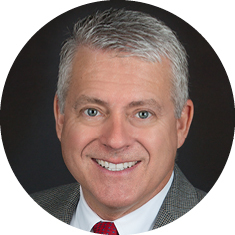 His more than 30 years of experience as a CPA includes five in Big 4 forensic accounting and 25 as an FBI special agent and supervisor. 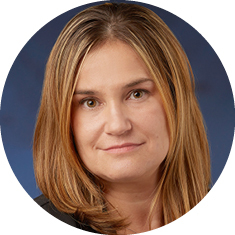 Andrea Rondot has international experience in the areas of fraud and compliance. 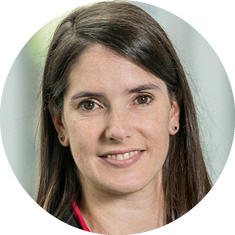 She is a member of the Financial Crime Team at Deloitte supporting solutions preventing corruption and combating money laundering. She is also member of the Alliance for Integrity initiative, a business-driven, global multi-stakeholder initiative with the aim of promoting corporate integrity and preventing corruption. 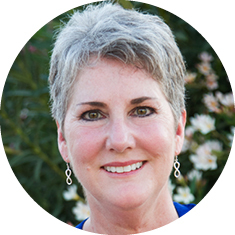 Jerri Rowe has been in the health care industry for more than 25 years. 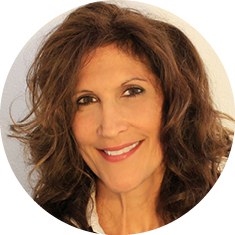 She has extensive managerial experience in both the administrative and clinical arenas with an emphasis on medical coding and billing. Her proficiency includes operation of various facilities to include a multispecialty physician group practice, an outpatient diagnostic center, urgent care and clinical department in a medical school. 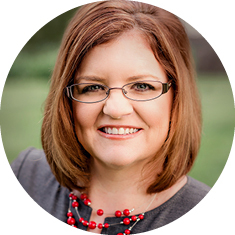 Rowe is also an educator and currently teaches medical billing and coding online to those entering the field. As an ethicist she emphasizes the importance of ethical behavior for all health care professionals, especially during this time of rampant fraud and abuse. Rowe also serves as a consultant to physician practices in auditing of documentation for reimbursement purposes in an effort to educate, identify and prevent fraud. 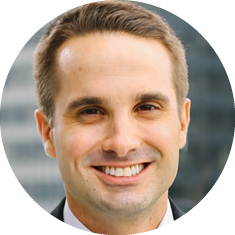 Alex Russell is the director of Institutional and Complex Litigation for Bates Group LLC. He is responsible for managing cases related to institutional disputes involving trust or banking entities; cases related to investment banking, sales and trading; and cases involving high net worth individuals. In addition, he is responsible for managing class action matters and matters involving the assessment of economic damages. He provides quantitative witness testimony in the securities litigation practice area, and substantive testimony related to valuation practices and mathematical modeling in the field of finance. 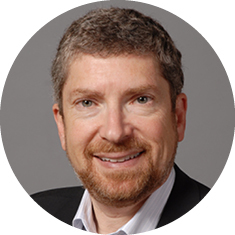 Russell is the co-leader of Bates Group’s big data practice area, and is an adjunct professor of finance at both Linfield College and in the Graduate School of Management at Willamette University. Paul Seckar is a Principal within Grant Thornton’s Public Sector Practice and is responsible for leading the Decision Analytics service line. 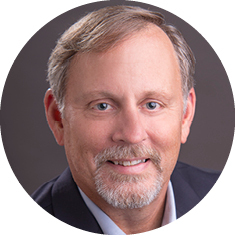 He has more than 25 years of consulting experience solving complex business problems with a variety of analytics, including technology- based solutions and applications as well as decision-analytic studies and engagements that deliver implementation recommendations for improved performance, streamlined operations and strategic decision making. 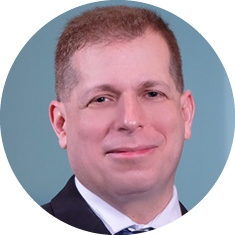 Prior to working for Grant Thornton, Seckar led the Predictive Analytics service area within IBM’s Public Sector Strategy and Analytics practice where he was responsible for designing and leading efforts to address client challenges through the use of advanced mathematical techniques including data mining, predictive modeling, forecasting, statistical analysis, cost analysis and simulation. Phil Shomura is the Senior Product Manager for the North American Commercial sector at ACL. Shomura leads the execution of go-to-market strategies for ACL’s cloud-based data-driven governance platform. 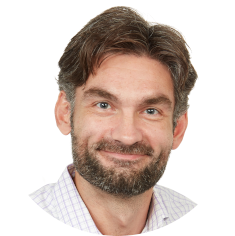 His responsibilities include performing market analysis to articulate solutioning strategies, defining product positioning and validating solution messaging against customer use cases, and educating the sales organization and staff, partners and customers on how ACL addresses the evolving needs of the governance, risk and compliance professional. Elizabeth Simon, CFE, CPA, is the director of ethics & compliance for Cox Communications Inc. She’s responsible for managing the ethics hotline and overseeing ethics-related investigations, conducting compliance risk assessments and ensuring that Cox is complying with the laws and regulations relevant to the company. She also oversees the company’s Records & Information Management Program and leads other compliance-related projects. 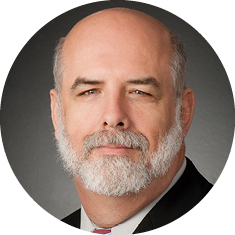 John Stanley is a Certified Fraud Examiner with more than 20 years of investigative and forensic accounting experience. Stanley spent much of his career with PwC’s Forensic Services practice in Dallas, TX and Tokyo, Japan investigating frauds against government health care programs, revenue recognition issues and violations of various anticorruption laws. In 2017, he became the Director of Johnson Controls Forensic Investigations group, a team of 16 investigators located around the world who investigate serious allegations and concerns reported through Johnson Controls Ethics Helpline. Sheryl Steckler has built her career on creating and improving government programs that directly impact the public and private sectors. Beginning her career in the criminal justice field with internships at the State Attorney’s office and the Florida Legislature, she became as a certified police officer in 1984 as well as an auditor and subsequently a senior investigator for the Florida Auditor General. She spent half of her 30-year government career as an Inspector General for both State, County and Local governments. 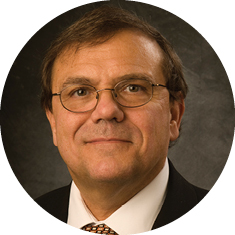 Today, Steckler is the co-founder President of Procurement Integrity Consulting Services LLC, a company specializing in developing, assessing and structuring strategies to assure contracting integrity. Ralph Q. Summerford is the President of Forensic Strategic Solutions, Inc., a firm of fraud and forensic investigators headquartered in Birmingham, Alabama, recognized as one of the top forensic firms in the United States. Summerford and his team of professionals specialize in forensic and investigative accounting, computer forensics, expert witness services, fraud examination, business valuations and litigation consulting. Summerford works primarily in the area of forensic accounting, fraud examination and bankruptcy. He works closely with both plaintiff and defense attorneys; corporate boards and audit committees; insurance company special investigation units; government inspector generals; and governmental agencies such as the U.S. Attorney’s Office, Federal Bureau of Investigation, Internal Revenue Service, Federal Trade Commission, and the Pension Benefit and Guaranty Corporation. 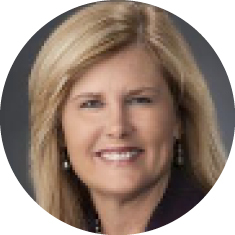 Ginny Tate is the president of FAI International, Forensic Accounting & Investigations, a division of the EP Global. She heads up the tax, accounting and forensic division which focuses on litigation support, taxation and investigation with clientele throughout the world. She is a Certified Fraud Examiner, a Certified Insolvency and Restructuring Accountant and an Enrolled Agent licensed by the U.S. Treasury. She has extensive professional development and training in fraud, damages/loss calculations and financial investigations. Tate is a member of the American Bankruptcy Institute (ABI), serving on the ABI's Commercial Fraud, Litigation and Taxation Committees. Jordan A. Thomas concentrates his practice on investigating and prosecuting securities fraud on behalf of whistleblowers and institutional clients. As Chair of the Firm's Whistleblower Representation practice, Thomas protects and advocates for whistleblowers throughout the world who have information about possible violations of the federal securities laws. A longtime public servant and seasoned trial lawyer, Thomas joined Labaton Sucharow from the Securities and Exchange Commission where he served as an Assistant Director and previously as an Assistant Chief Litigation Counsel in the Division of Enforcement. Sharon Tibbits’ career in the casino industry started in 1996 in a small Laughlin casino where she served as Casino Controller. In 2002, she moved to Las Vegas and joined MGM Resorts International family. She held the positions of Casino Controller/Compliance Officer at New York New York Casino and Director of Compliance at Mandalay Bay Resort & Casino. In 2010 she cofounded the MGM Resorts International Fraud Control Group where she serves as Vice President. Her team is responsible for fraud investigations of employees, patrons, vendors and tenants at 10 Las Vegas and three regional properties. 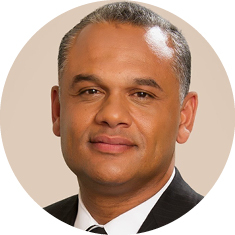 Director, Corporate Investigations, Advanced Micro Devices Inc.
Curtis Tomlinson has more than 20 years of experience in fraud and intellectual property loss investigations and computer forensics in the high-tech industry. He is currently the Director for Corporate Investigations at AMD, Inc., where he is responsible for AMD’s global intellectual property protection program, computer forensics and e-discovery. Tomlinson's role supports AMD’s litigation team in e-discovery spanning preservation, collection and analysis of electronically stored information (ESI). He has been active in collecting and preserving ESI for civil and criminal matters beginning in the early 1990’s before many of the automated forensic and collection platforms were available. 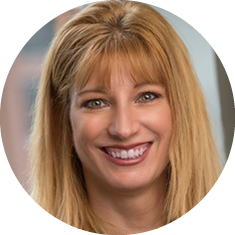 Pam Verick is a Director at Protiviti Forensic where she focuses on investigations and anti-corruption compliance solutions and leads the fraud risk management initiative. Verick has over 23 years of risk management experience including creation of fraud governance systems and fraud risk management programs, planning and execution of fraud risk assessments, conducting investigations to address fraud, misconduct and potential violations of the Foreign Corrupt Practices Act and other anti‐bribery laws. She also assists with compliance and ethics programs for both the public and private sector. Verick speaks regularly to U.S. and international audiences on issues related to corporate ethics and fraud. 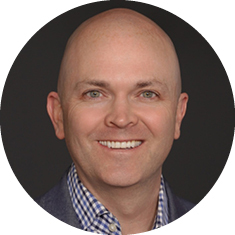 Vincent Walden is a Partner at EY specializing in forensic technology, business intelligence and fraud detection analytics. He leads a national team of skilled forensic technology and data mining professionals. With a focus on anti-fraud analytics, forensic data mining, third-party due diligence and electronic discovery services, he has more than 17 years of experience handling the information management, forensic analysis and electronic discovery needs for large scale, complex litigations, investigations and proactive anti-fraud and compliance programs. 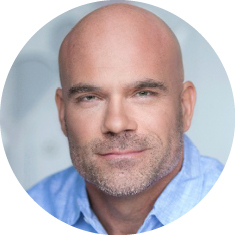 He has been featured in many publications including Fraud Magazine, Internal Auditor Magazine, Compliance Week, Forbes, The Economist, The FCPA Report, ABC News Online, CNBC, Tech Data, and other leading publications. 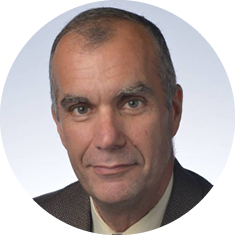 Following a distinguished career as a Senior Intelligence Officer within the Central Intelligence Agency (CIA), Peter Warmka joined Strategic Risk Management in 2010 as Director of Business Intelligence. In this capacity, he has led numerous due diligence investigations on behalf of corporate clients pursuing mergers and acquisitions that have uncovered significant fraud within target entities. Warmka’s professional expertise includes the areas of cybersecurity, intelligence collection, competitive intelligence and asset protection management. With his extensive background in social engineering, Warmka joined Webster University in 2015 as an Adjunct Professor, where he lectures on intelligence and counter-intelligence as it relates to cybersecurity. 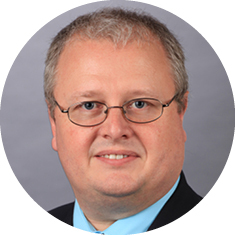 David P. Weber is the Academic Director of Fraud Management at the University of Maryland’s Robert H. Smith School of Business, where he teaches ethics, professionalism, and forensic accounting in Smith’s top-ranked MBA and undergraduate programs. Recently, Weber served as the U.S. banking expert who assisted journalists in reviewing information now known as the Panama and Paradise Papers, pertaining to hundreds of current and former world leaders. A Certified Fraud Examiner, attorney in private practice, and registered private investigator, he previously served as the U.S. Securities and Exchange Commission’s Assistant Inspector General for Investigations, the SEC’s Chief Investigator. 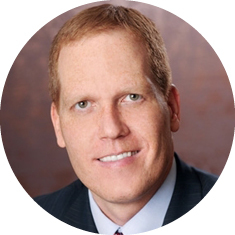 Ken Yormark is a managing director for K2 Intelligence, where he leads the U.S.-based forensic accounting team. With over 25 years of experience, he is an expert in complex global investigations and forensic and investigative services. Yormark has managed and conducted numerous, often high-profile securities fraud, anti-corruption/Foreign Corrupt Practices Act (FCPA) and Ponzi scheme investigations involving public and private companies in all industries around the globe. Jason Zirkle is an Intelligence Analyst with the Texas Ranger division of the Texas Department of Public Safety (DPS). 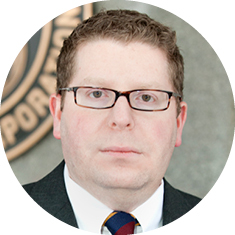 At DPS, he works alongside Texas Rangers and DPS Special Agents, providing investigative support and financial analysis on major financial crime investigations, including money laundering, fraud, embezzling and theft, public corruption, identity theft, illegal gambling, and other white-collar crimes. He also provides financial expertise to non-financial DPS criminal cases, such as murder investigations, narcotics, and human smuggling and trafficking. Zirkle is the FinCEN Agency Coordinator for Texas DPS, and conducts training within DPS on FinCEN and financial crime. Convicted fraudster Ryan Homa stole nearly $1.3 million from his employer over the course of more than three years. He will discuss the environment in the business, his crimes and how his theft could have been thwarted. 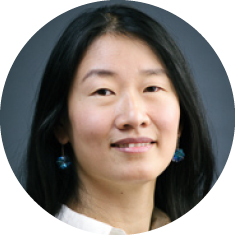 Fang Yu is co-founder and CTO at DataVisor, the leading fraud detection solution utilizing unsupervised machine learning to identify various types of fraud including fraudulent transactions, identity theft, application fraud, insider abuse, money laundering and more. Prior to DataVisor, Yu spent 8 years at Microsoft Research developing big-data algorithms and systems for identifying various types of malicious and fraudulent activity across a wide range of consumer services. Jill A. Brown (Ph.D. University of Georgia) is an Associate Professor of Management and the Harold S. Geneen Research Professor of Corporate Governance at Bentley University. Her published research focuses on strategic leadership, including areas of corporate social responsibility, corporate governance and ethics. She is co-author of the 10th edition of a widely used textbook on ethics called Business and Society: Ethics and Stakeholder Management (Cengage Publishers). 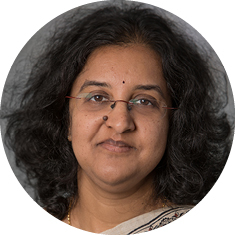 She is an editor at the Journal of Business Ethics, among other journals, and she is the current Program Chair for the Social Issues in Management division of the Academy of Management. Prior to her career in academe, she was a commercial banker and small business consultant.